The area surrounding Buittle Tower has been inhabited for centuries with the site being traced back as far as Iron Age farmers. The Romans may also have used Buittle to disembark in their conquest of Scotland as the Urr would have been eight metres higher here than it is now. In the 13th Century Buittle Castle belonged to Allan, Lord of Galloway. When Allan died in 1234 without a surving male heir his lands were divided between his three daughters, Elena, Christina and Devorguilla (meaning of very high lineage). After her elder sisters demise Devorguilla, who was married to John Balliol, inherited the lands of Buittle to which she moved in the 1250's. Once taking up residence she enlarged the castle on an extravagant scale by adding a bailley which was accessed by a drawbridge. The castle was one of only three in Scotland to have a paved floor, not paved in the sense that we know of today, but a hard floor none the less. As the Urr was tidal Buittle was easily accessible from the sea and as a result became a prosperous settlement and eventually a burgh. Devourguilla is known for establishing Balliol College Oxford and building a bridge over the Nith in Dumfries. However the bridge in question was a wooden construction and not the stone bridge which stands today, this dates to the 1430's. Perhaps Devorguilla's most noteable creation is Sweetheart Abbey in New Abbey. Completed in 1273 it is here that her late husband's heart is said to be embalmed. It is said that she carried this casket with her and a place was even set for it at dinner. Once she had eaten, the food on his plate was given to the poor. 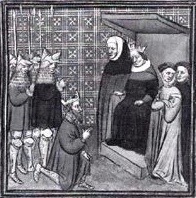 Devorguilla is thought to have died in January 1290 at the age of 76 surviving to see her son, also John, become the main claimant to the Scottish throne, although not to witness his subsequent downfall and loss of her lands to the English crown. John Balliol did not have much chance of delivering a strong government to Scotland, a courageous man assisted by luck may possibly have made something of his position. Unfortunately for Scotland, Balliol was not that man. He did attempt to carry on the work of previous Scottish Kings by summoning parliaments and trying to right lawless areas, but the ambitions of England's Edward I dismissed any attempt of John to establish himself. Edward made the most of his position of power, he demanded that complaints against Balliol by Scottish subjects be heard at English courts. Balliol understandably objected to this and was immediately threatened with the loss of his Scottish castles. During this time The Bruce's were acting in their own best interests which did not help. The breaking point came when Edward insisted that he provide military service against France. Balliol refused and eventually after a fierce batttle at Dunbar Balliol was forced to surrender and was subjected to the humiliation of having his royal regalia stripped from him. His lands, including Buittle, were placed under English rule. By the early 14th Century Edward Bruce (Brother of the future King) had fought off the English and recaptured all the castles in south-west Scotland. His main aim being to recapture Buittle, as it was an important target and the gateway to eastern Galloway. Also John Balliol was still a key figure here and the Bruce clan did not want him to reclaim the Scottish throne. 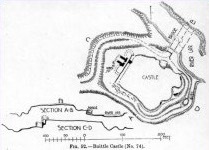 The seige of Buittle lasted several months under the attack of Edward Bruce and the castle fell to him in February 1313. Although Edward had won, those inside had to wait ten days, enduring starvation and thirst, until Robert arrived to take the surrender. The castle was subsequently destroyed and raised to the ground. 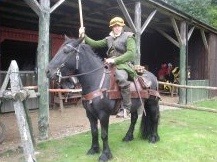 In 1323 Sir James Douglas was granted the lands of Buittle, a loyal supporter of the Bruces. As one of the most important places in Galloway at the time, having been a Balliol stronghold as well as the seat of the Lords of Galloway, Bruce decided to gift it to Sir James both as a reward and to quell any Balliol uprising. 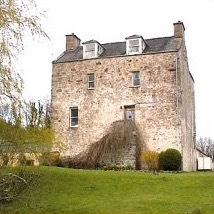 The Douglases, using stone from the former castle built the tower house which still stands to this day. They continued to own Buittle unitl the 16th Century when the lands were forefeited to James V, who subsequently granted the lands to the Maxwell family, who remained in posession until the 19th Century. Today Buittle Tower is home to Jeffrey and Janet Burn who have restored the tower house to its former 16th century glory, complete with vaulted diningroom, chapel and laigh hall in the courtyard. The Tower is also brought to life by a group of Historical re-enactors who specialise in the period of the Border Reivers, telling the stories of the Clans and Families who controlled the Scottish and English marches for almost 300 years. Times were harsh in the Debateable Lands and in order to survive, raiding the lands of others became the only means of survival. Not only did Scots raid the English and the English raid the Scots but they took to raiding each other, especially when some act, real or imagined, sparked off conflict between families which resulted in feuds lasting for generations.